As World War II is going on in Europe, a conflict arises between the French and the Diola-speaking tribe of Africa, prompting the village women to organize their men to sit beneath a tree to pray. A forty-year-old woman refuses to give into the stigma of unwed motherhood and climbs the ladder of success in a male dominated field. 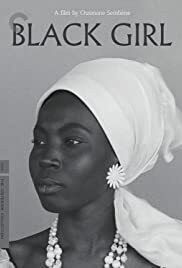 I am very glad I finally saw "Black Girl." I missed seeing it when it was first released in the U.S., and now--36 years after it was produced--the film found its way to Upstate New York (Rochester Labor Film Festival). We cannot judge this movie in 2002 terms--by those terms it is technically crude, and too short (only 65 minutes). The print shown in Rochester was of poor quality--especially just before and after reel changes. Despite all these hurdles, I found "Black Girl" compelling and disturbing. 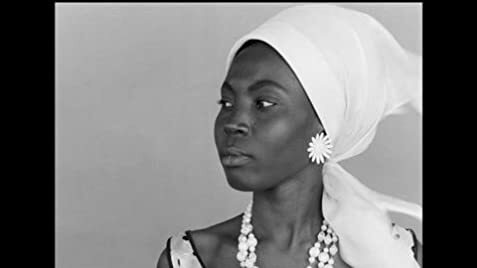 The basic themes are the conflict and contrasts between White and Black, European and African, rich and poor, literate and non-literate. The contrasts are not subtle, but neither are they violent or brutal. There is no physical violence, but rather emotional and psychological violence. Sembene--who had to learn his cinema craft in Russia because opportunities were denied him by the French--is a master. A master working without star actors and without state-of-the-art technology can still produce a masterpiece!